This article is part of the Young & Entrepreneurial series that features young startup founders and entrepreneurs. You can see past features here. To stay up to date with future posts, sign-up here. You don't always have to be a tech guy or business guy in order to start a startup. There are so many moving pieces in a startup that your degree of study doesn't really matter. What matters is your conviction to your idea, your willingness to execute, your willingness to learn, and of course, your ability to get people to join your mission. This was the case for Tom Coburn who came into Boston College in the fall of 2009 as a Biology major who had no intention of starting a startup. However, with the right mix of inspiration, luck and a lot of hustling, Tom ended up starting Jebbit, a digital marketing platform that customizes, measures and optimizes Post-Click Engagement, focusing on the interaction between the consumer and brand after a users clicks through an ad. Tom would end up dropping out during his senior year to pursue Jebbit full-time, and since then, they've gone on to raise over $3.3M in funding and they now work with over 50 companies including Dell, New Balance, Kaplan, CBS and more. I got to sit-down with Tom to learn more about how he got interested in startups and how he was able to build Jebbit in college to a scale that eventually led him to dropping out. Tom's first exposure to startups and entrepreneurship would be through the Boston College Business Plan Competition. Tom's roommates at that time were all interested in business so they decided that they wanted to take part in the competition. He shared, "I decided to team up with a couple of them and work with them on nights and weekends and it was just a fun type of thing for us to work on day to day." After trying a few different ideas in industries that ranged from healthcare to athletics to commerce, the team would come up with Jebbit, which would end up winning the Business Plan Competition. Tom shared, "One of the judges was a venture capitalist and invited us to incubate our idea in the office during the summer. Then one thing led to the other." How did they come up with Jebbit? Tom was in the airport waiting for his flight watching Hulu when a 30 second advertisement popped up. Just like any other millenial, Tom decided to switch tabs and check Facebook and email instead during that 30-second ad time. Tom shared, "That just really triggered the idea for me. This brand is paying money to get in front of me and not only did I learn nothing about the brand, I can't even tell you what brand is. They may as well have taken that money and throw it off the window. There must be a better way." This is where the initial version of Jebbit would be born. While Jebbit has evolved a lot from its initial days, the same core principle of helping companies advertise better has been there from Day 1. The initial version of Jebbit was a platform where college students registered to get paid to fill out surveys for consumer brands. Tom shared, "You would sign up, be presented by 5 brands you might be interested in then you would answer 5 questions and earn $2-3. That was the core model we used to show that we could build the product." They would run this version for two years, building up the platform, onboarding over 200 colleges and 50 brands, and raising $100k in funding as well. Tom shared, "We ended up selling this business because we wanted to focus our efforts on what we thought was a much bigger business." This bigger business came out of a few lessons Tom and his team had learned from the first version of Jebbit. The first thing they had learned was that although they had over 100k students using the site every week, this wasn't big enough for big brands like Coca-cola or Microsoft. Second, they also realized that a lot of the students were on the platform for the wrong reasons. Tom shared, "They cared much more about getting the money than learning the brand. It was incentivized marketing. As we thought through where we wanted to evolve the business to, we didn't want to be responsible to be driving the audience anymore." The B2B version, which is Jebbit's current version, was born. One of the biggest challenges Tom and his cofounders faced was the decision whether or not to dropout of University. Jebbit had been growing rapidly each day and the team had a choice whether to stay in school or take advantage of this growth and go full time. Tom shared, "I ended up dropping out during my senior year. To me I thought the business is growing, it's kind of a now or never thing while school was always going to be there. We ended up raising more money but not all of us (in the team) dropped out." The members that ended up staying in school had to leave the company while the ones who dropped out went full steam ahead. Tom added, "We had a lot of late night conversations, lots of debates but at the end of the day, there's no real right or wrong answer because its a personal decision so we just tried being really honest about it and spending a lot of time talking about it." After leaving school, Tom and his cofounder were suddenly freed up to devote all their time and energy to solving problems the company faced. Tom shared, "It's already in your mind all day everyday but when you're in school, you have to walk side to side with it so the biggest thing was just being able to devote all our time to solving these problems." Because Tom and his cofounder who dropped out with him were both just 21 and 19 years old respectively, they initially had a hard time convincing big companies and Fortune 500 brands to purchase their solution. 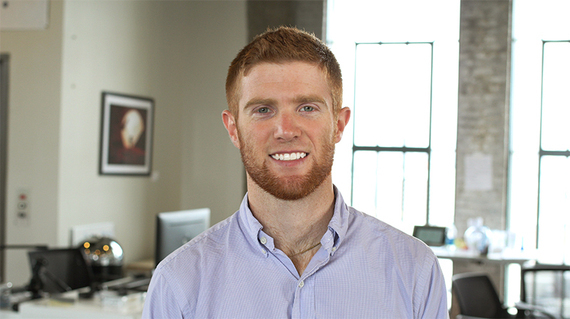 In order to overcome the credibility challenge of being dropout student entrepreneurs, Tom and his team decided to create a CMO advisory board that became the key factor in helping the team get their foot in the door for many of these big brands and companies that would end up becoming their clients. But this didn't happen overnight. Tom emphasized how it took a lot of just rolling up their sleeves, reaching out to people and buying them coffee and sharing the Jebbit vision. Today, Jebbit helps CMOs provide interactive experiences to people who visit the brands websites, helping keep consumers more engaged and aware of the brand. Another key factor that has led to the growth and success of Jebbit has been the team they have been able to assemble. Tom emphasized the importance of building the right culture for your startup. Tom shared, "I think one of the biggest advantages of being a student entrepreneur is you can experiment with working with so many different types of people because you're around so many hard working people around you all the time who want to gain the experience. You don't even need to pay them, you can just get them involved and give them the experience that will help them get an internship in another company in the future." While Tom didn't really have any business or tech background, he was able to surround himself with people who had the skills Jebbit needed. He added, "I spent a lot of time thinking about 'culture' and focusing on the types of people who should work in our company because I was forced to." 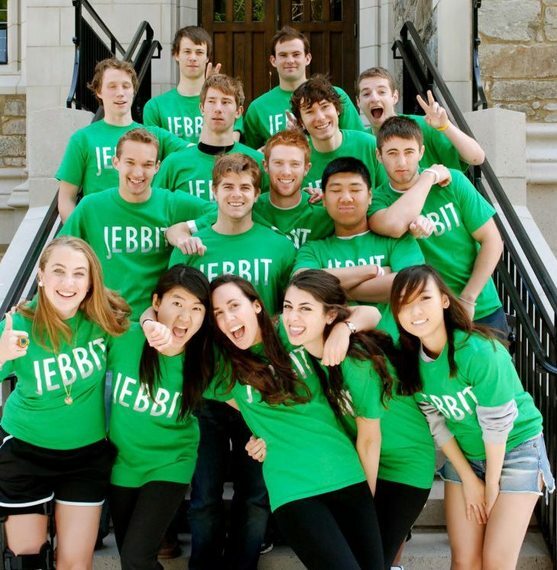 At one point, Jebbit had over 40 students working for them while Tom and his cofounder was still in school. 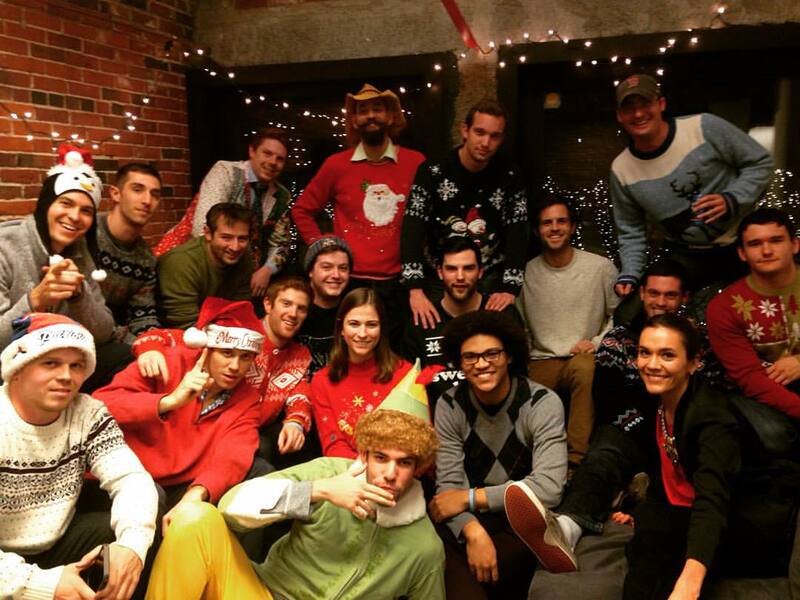 He said, "We just had a giant mass of undergrads that was basically a company. I was basically just going around classes and I would setup in the dining hall and say, 'hey this is the company, this is our vision, we are looking for people who care about startups and want a job and want to help'." Key to the success of this strategy was Tom made sure that everyone who joined the Jebbit team could just dive in and do work that they cared about. He also promised everyone that one day Jebbit would become a venture backed company and a real business and that these interns had the chance to become managers and lead teams if they stuck it out early on. This wouldn't be a far-fetched vision as it has come true. Tom shared, "A handful of them now are running different departments in our company, managing people twice their age, hiring and managing their budgets and growing their team." While Tom is just getting started with his entrepreneurship career, he has learned a lot of lessons from running Jebbit for close to 5 years now. Last summer, with a desire to help other Boston College students working on a startup idea, Tom helped setup the Soaring Startup Circle which is a program where Boston College Alumni entrepreneurs help mentor teams from Boston College. Tom's advice to student entrepreneurs? "My biggest thing is just to make sure that you're doing something everyday to move yourself closer to actually getting your company off the ground. It can look different at different points of time. For us, at times, it was just sitting down with my cofounders and brainstorming what the next idea we wanted to work on was or going and grabbing coffee with another entrepreneur." One of the biggest problems Tom sees that student entrepreneurs have is that students just stop working towards getting their company up and running and moving it forward when they hit certain periods like when they have exams for instance. Tom added, "You can't have that mindset as an entrepreneur. You have to continue moving forward because the second you stop, there's a lot more negative effect than you think. So do something everyday and see what you can achieve early on." David Ongchoco is a student entrepreneur and avid storyteller from the Philippines studying at the University of Pennsylvania majoring in what he likes to call, LIFE. He is currently working on expanding his for-purpose organization YouthHack. It's David's goal to make an impact in the lives of as many people possible while constantly learning new things every single day. If you have any interesting startup stories, David can be reached via Twitter @DOitChoco.